Harfield Terrace is a terrace of four two-storey houses in Addlewell Lane, on the corner of the junction with South Street. The terrace is mentioned in Collins' Yeovil Directory of 1907 but is not shown on any maps until the 1912 Ordnance Survey. 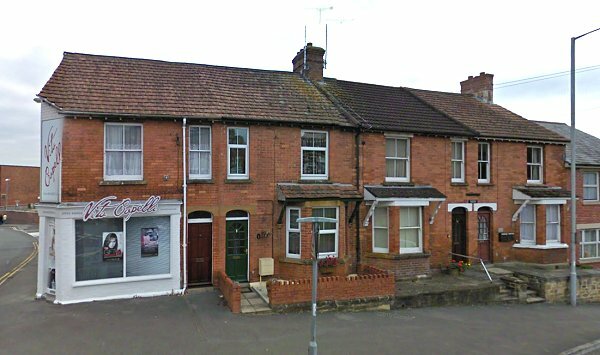 Built of Yeovil red bricks under a tiled roof, as far as I can ascertain the property on the corner with South Street was built as a corner shop. 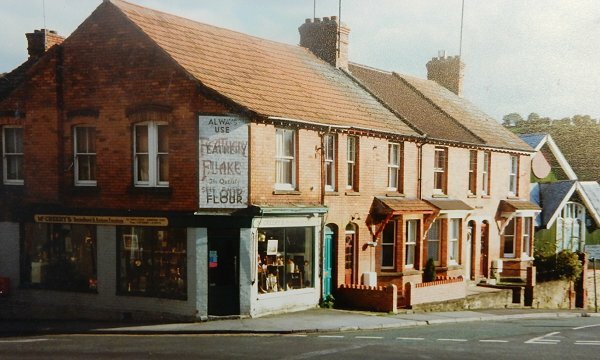 A painted (at least twice) sign on the wall above the corner door read "Always use Feathery Flake, the Quality Flour" indicating it was a corner grocery shop at one time (see Gallery). In the 1960s, '70s and early '80s it was Samuel McCreery's junk shop (sorry, pre-owned bric-a-brac emporium). 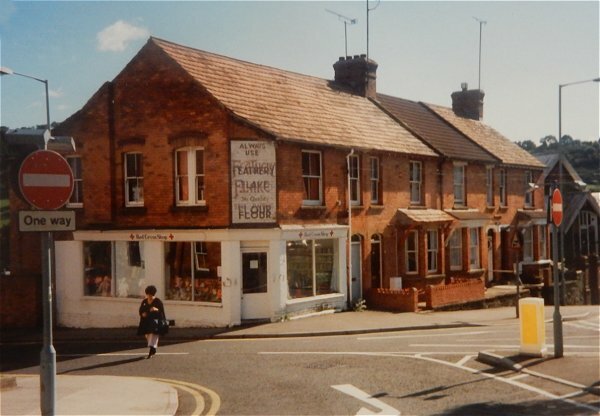 By the 1990s the shop was occupied as the Red Cross Shop and since around 2005 has been Vita Capelli unisex hairdressing salon. 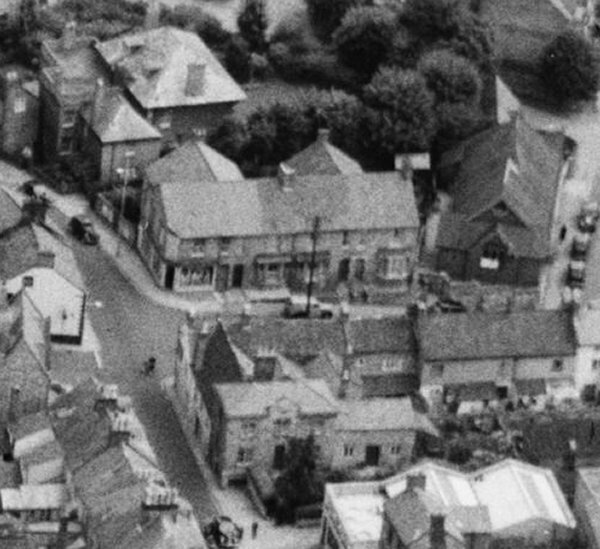 An aerial photograph of 1953 showing Thomas Fooks' house in South Street at centre bottom, Thomas' son William Fooks' house known as Park Street House at top left, Harfield Terrace at centre and Holy Trinity church hall towards top right. 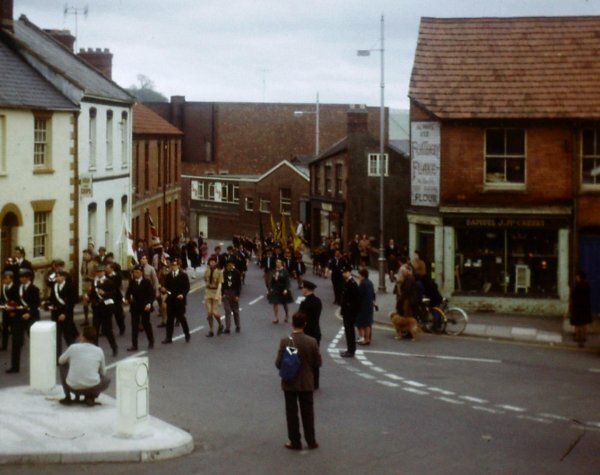 The 1968 St George's Day parade, seen here at the junction of South Street with with Park Street / Addlewell Lane at right. Of note here are Eden's Fish & Chip Shop at left, the box factory at centre and Sam McCreary's junk shop at right, on the end of Harfield Terrace. 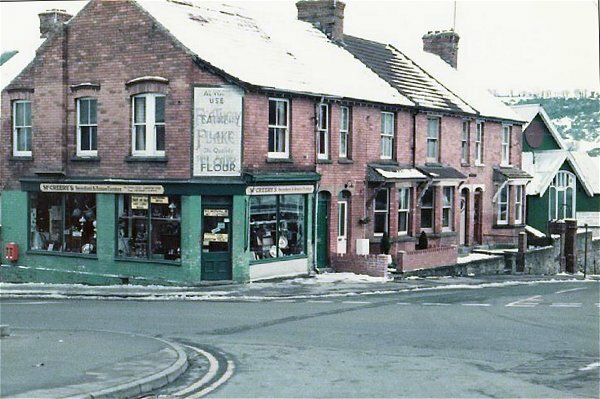 Sam McCreery's junk shop and Harfield Terrace seen in the snow of 1985. .... and a little later in the 1980s. 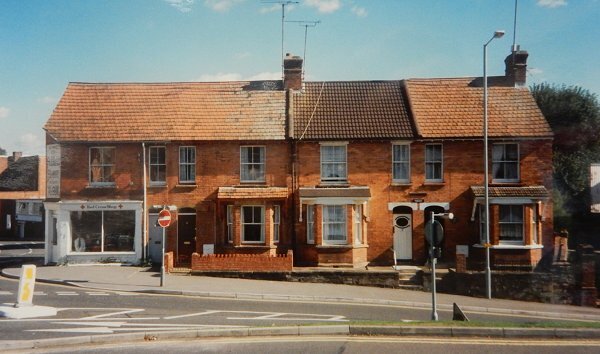 Harfield Terrace photographed in the early 1990s when the corner shop was the Red Cross Shop. At extreme right is the Holy Trinity church hall on the corner of Mill Lane. A head-on view of Harfield Terrace, again photographed in the late 1980s or early 1990s. Harfield Terrace photographed in 2009.